Our 210 room Hotel is right next door for your overnight guests or attendees. Each spacious room includes a complimentary hot breakfast and plenty of amenities. Our new meeting space will be available after July 1, 2019 and can sit up to 150 people! One of our seasoned staff will be happy to provide you with more information. Give us a call! Perfect for the small meeting or conference. Our Heritage Club room is available after 11am and features a built in bar, large windows and room to move! Perfect for a small conference or meeting. White boards available in room, and AV equipment available for a fee. **AVAILABLE JULY 2019888 The Twin Sisters room is the perfect place for you to hold a meeting or gathering. 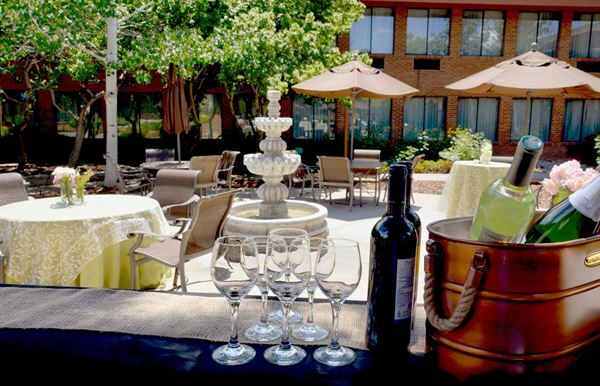 It is conveniently located in our hotel with easy access for all guests and attendees of your event. WOW! The facility is beautiful, but more than that: the staff goes over and above. Everyone - from the gentleman folding tables at the end of the event to the General Manager and everyone "in between" - were so attentive. My direct contact, Annie, was incredible. The 6th Annual Colorado Cheese Festival will definitely be held here as well.